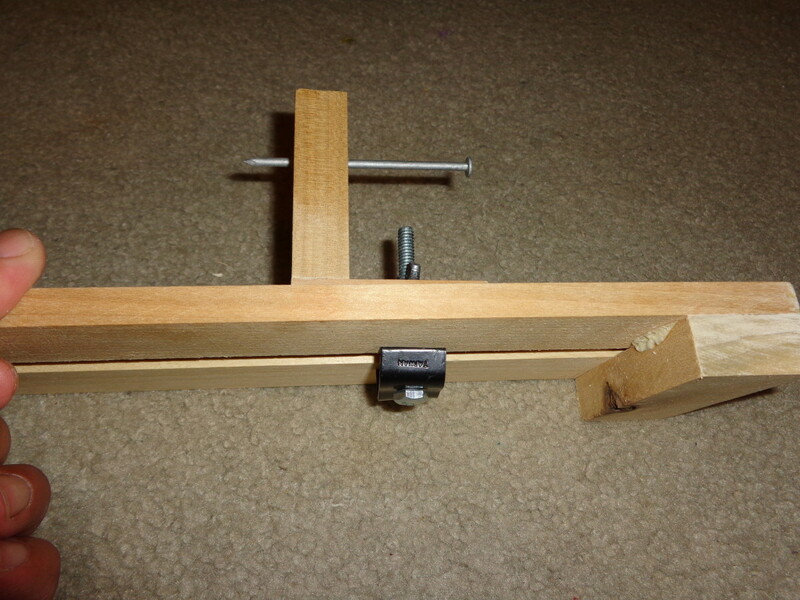 One weekend I decided to tinker with "material in the scrap bin" and made a Mini Balsa Wood Lathe for making balsa wood popper bodies. I put it together in about an hour, and after the glue dried, I was able to start making balsa wood popper bodies for a fishing fly - the Tube Popper Fly. 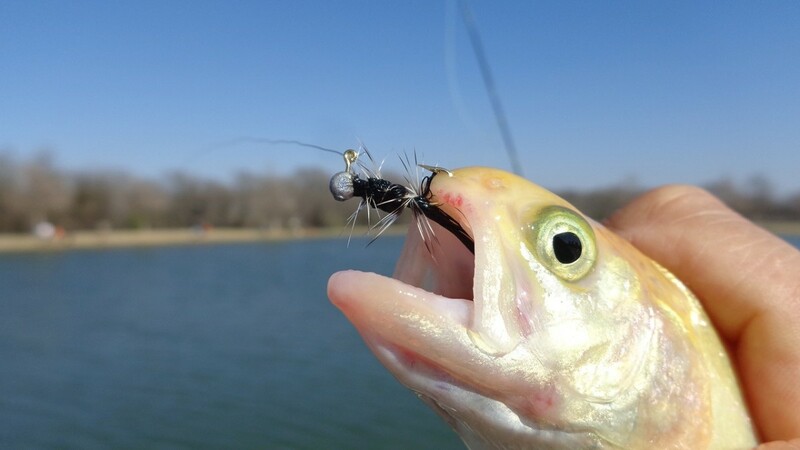 The Tube Popper Fly is based on the same concept of Tube Fishing Flies where the line passes through the body and the hook is not permanently attached to it. I liked the idea of being able to change hook sizes. And, since the popper body tends to slide away from the hook (and the hooked fish's teeth), I liked the thought of popper bodies lasting longer than a couple of fishing trips. 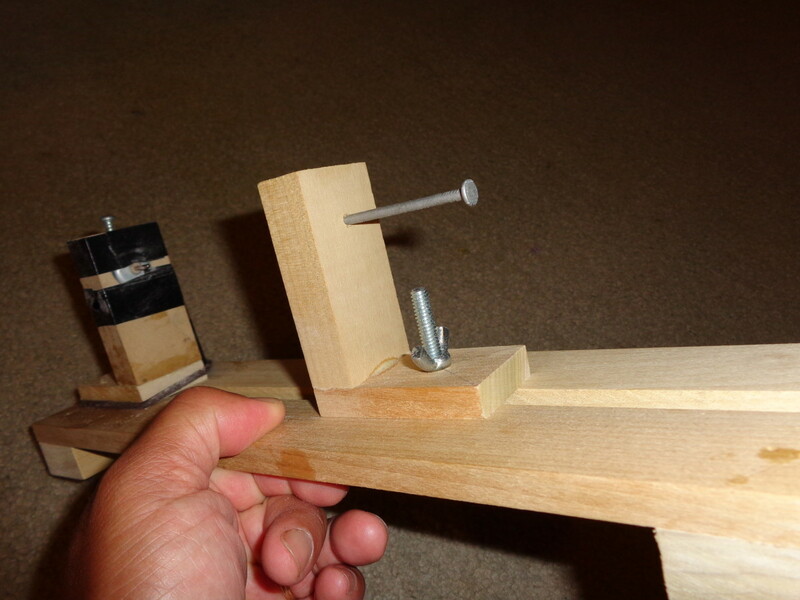 So, with the intent of using material gathering dust in the garage, I made a Mini Balsa Wook Lathe! Note: The material list below is flexible; substitute items if you see other parts that "work better" for your lathe! Remember the intent is to keep things simple and use what you already have on hand. 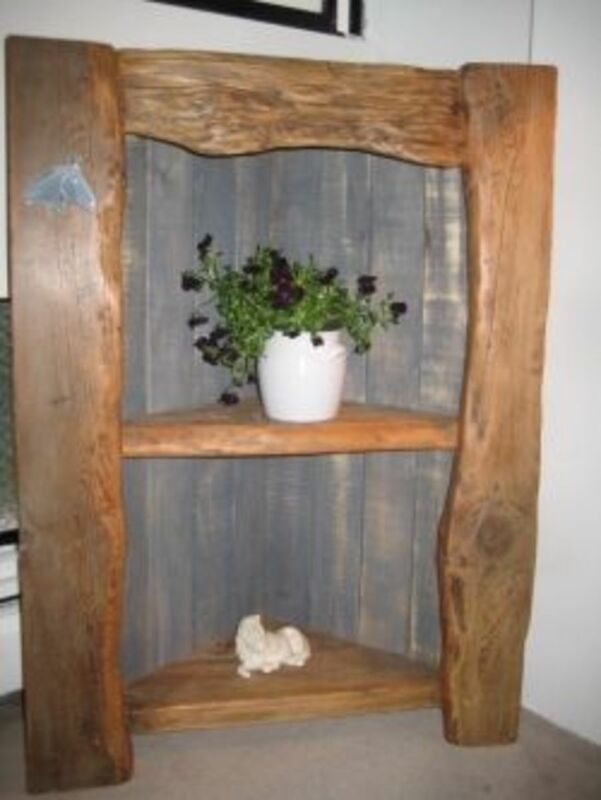 In my case, I had made a DVD Cabinet using poplar and had left over parts. To make a Mini Balsa Wood Lathe, start with gathering the materials and tools listed below (or substitute items as needed). 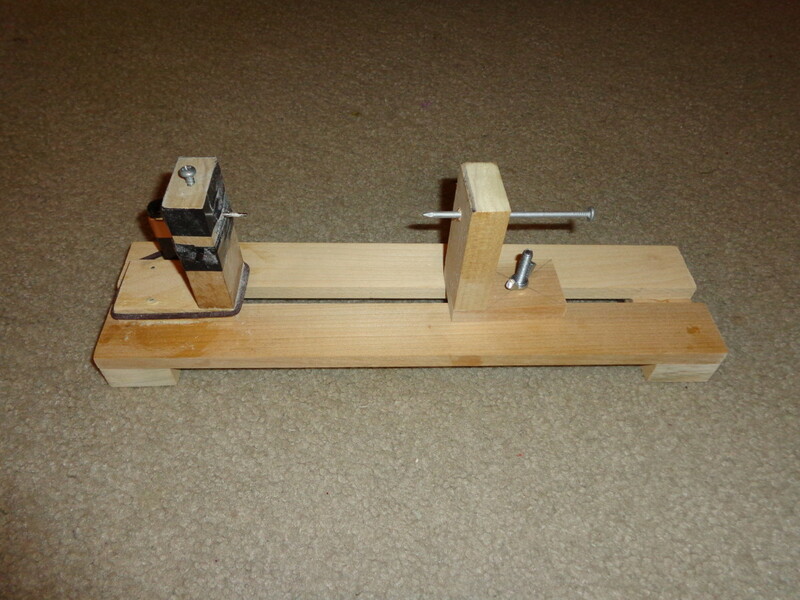 Once you have gathered the materials and tools, you are ready to make a simple Mini Balsa Wood Lathe. To make one, follow the steps listed below. 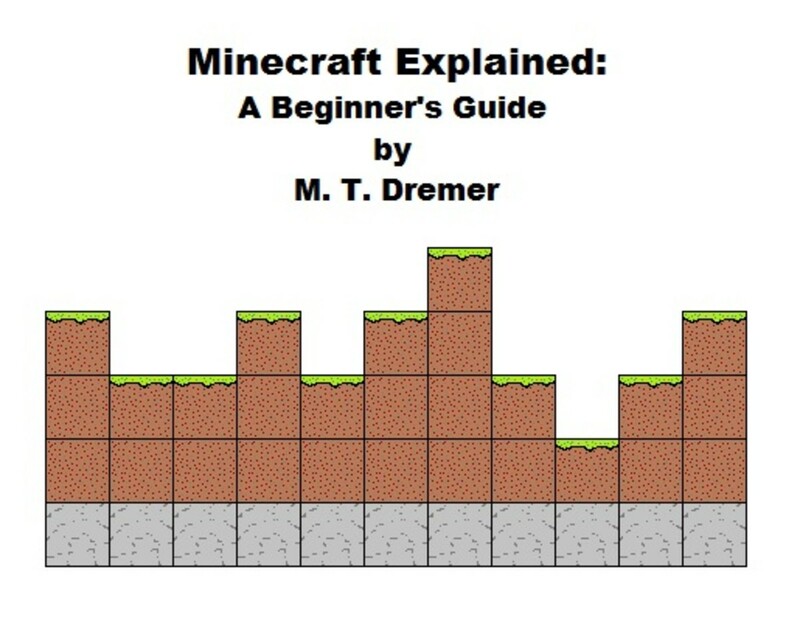 Also, do reference Diagram 1 in the side bar. First assemble the base using the pieces below and per the diagram noted in the sidebar. When assembling the base, be sure to leave the space in the middle between the two longer pieces of wood. 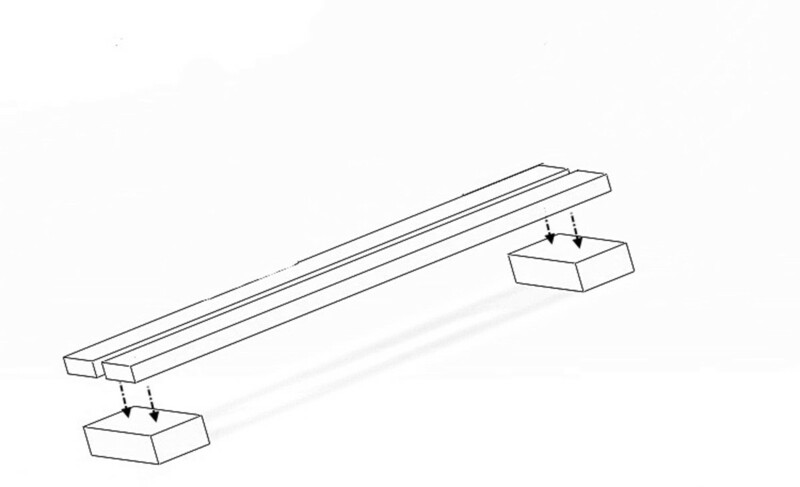 The space will be used to set the left and right mounts listed in Step 2 below. 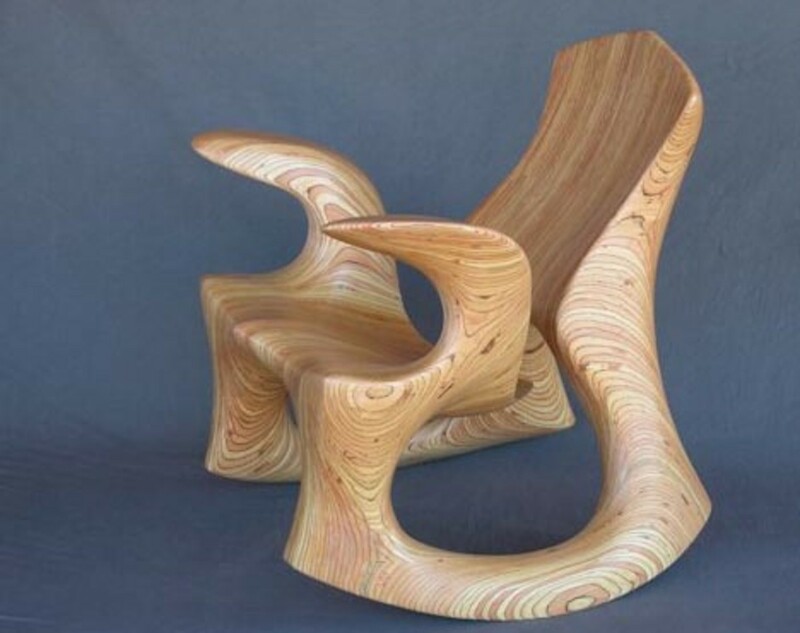 Also, note that the thicker but shorter pieces of Poplar Wood are on the bottom, and the thinner and longer pieces of Poplar Wood rest on top of the shorter pieces. Once aligned as noted in the diagram, use nails and glue to hold the pieces together. Set aside and let the glue to dry. 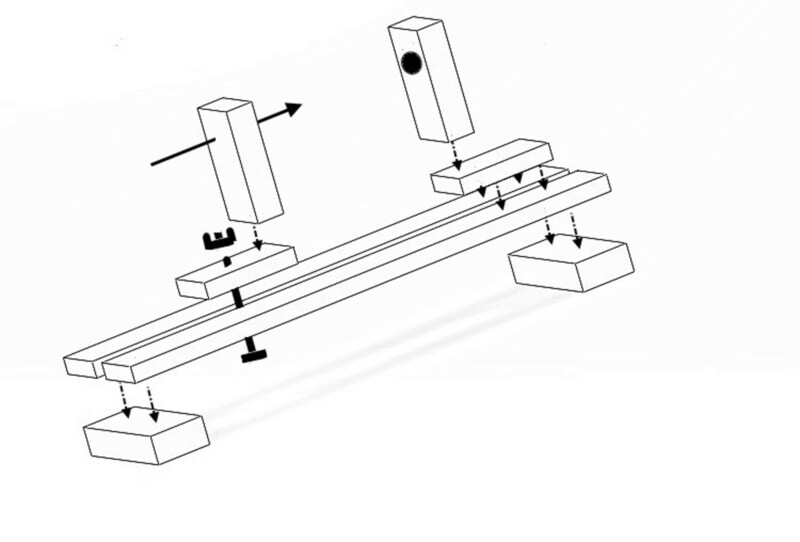 Next assemble the left and right mounts using the pieces below; refer to the diagram in the sidebar. The bottom pieces are the thinner 7/16" Poplar Wood, and the uprights are the thicker 3/4" Poplar Wood. Apply glue and use the small nails to hold the pieces together. Once in place, set aside for the glue to dry. 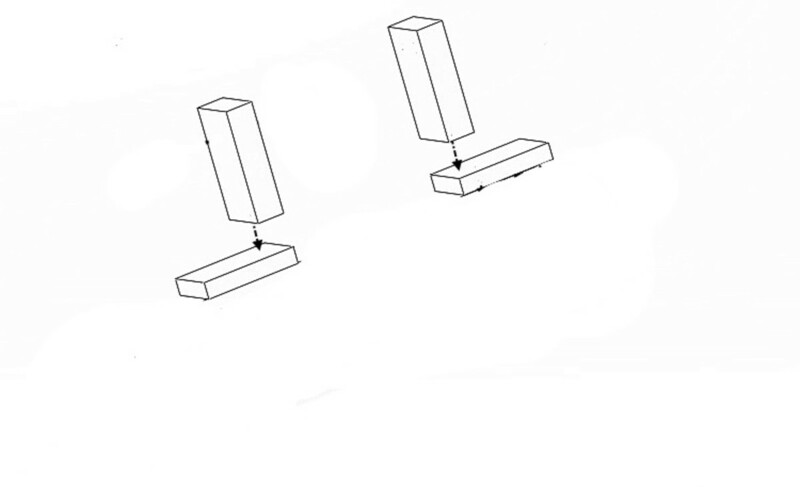 Before proceeding to Step 3, determine which mount will be used as the left mount and which one will be used as the right mount. Right Mount houses the motor. Motor in place; screw set to secure the motor, and electrical tape to hold the wires in place as well as secure the motor. Rear view with battery and connector attached. Battery Connector and Battery in place. Note how the Battery Connector is used as an On-Off Switch. Take the Right Mount and mark where the 9 volt electric motor will be fitted to it. Also, determine the size hole to be drilled into the mount. This will be based on the diameter of the motor. The one used in this article measured 1" in diameter. Next, mark a point along the center line of the mount's vertical face that is half the diameter (or radius) of the motor plus another 1/2". Since the motor had a 1" diameter, a point along the center line was marked at 1" from the top. 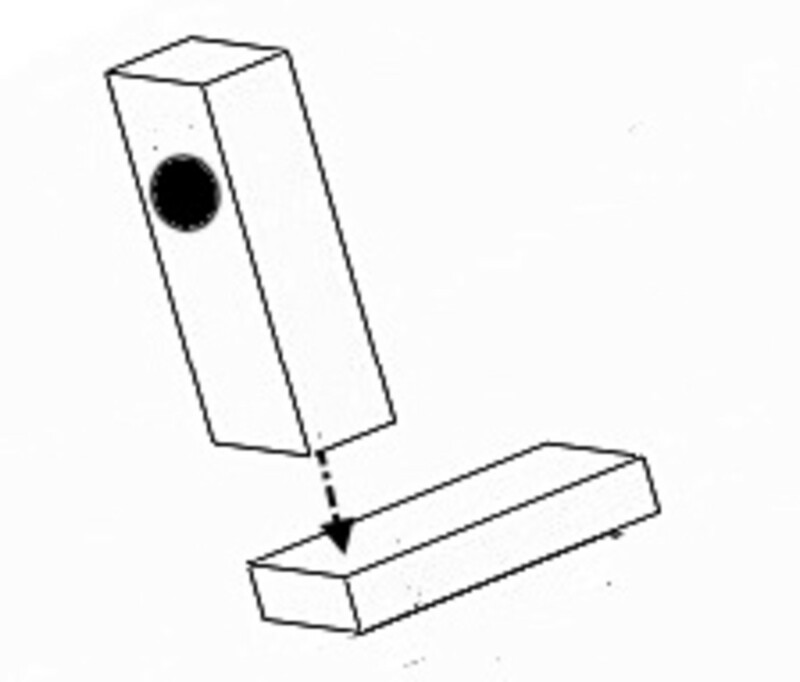 After marking this point, drill a hole that is the same diameter as the motor. 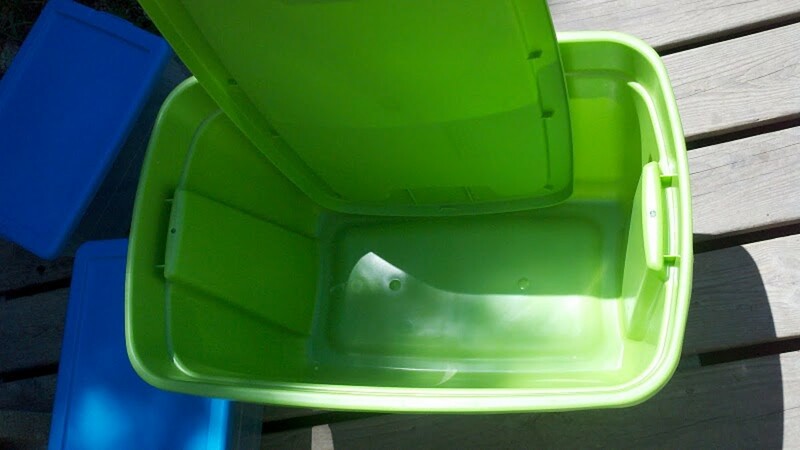 If needed, use sand paper to bore out the hole. 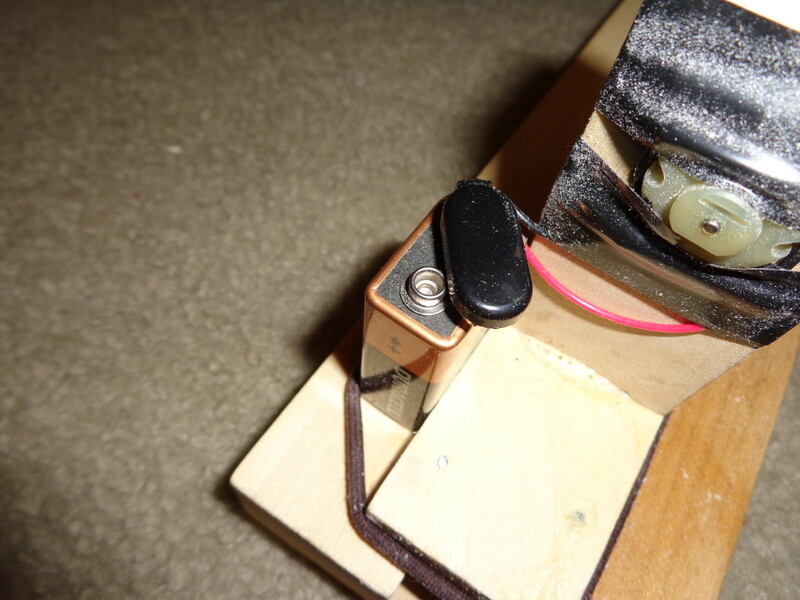 When done, insert the motor in the hole and then use a wood screw to hold the motor in place. Next using glue and nails, set the Right Mount on to the Base. Once in place, solder the Battery Connector wires to the Motor, and then use electrical tape to secure the wires in place. Then, place the Battery along the side of the Right Mount and use a Rubber Band (or other elastic material) to hold the Battery in place. Finally, connect the Battery Connector to the Battery and test the motor to see if it works. See sidebar for more details. Note: In an effort to simplify things and to minimize parts, an On-Off switch was not used. Instead, the Battery Connector was connected to one Battery terminal only. To turn on the motor, the Battery Connector would pivot on the connected terminal and swung in place to contact the other terminal. Large Nail, Nut, and Bolt (Wing Nut), and Left Mount in place. Drill a hole that is center line of the bottom piece of the Left Mount. The hole should be the same diameter as the Bolt that will be used to secure the Left Mount to the Base. 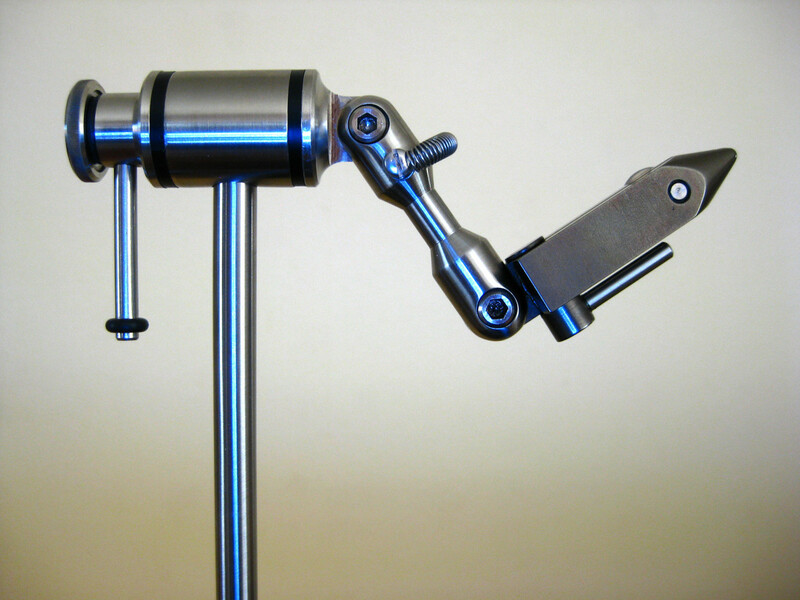 Next, secure the Left Mount to the Base using the Bolt, Washer, and Wing Nut as noted in the sidebar. After securing the Left Mount, loosen the Wing Nut, so the Left Mount can be moved up and along the Base. Then, move the Left Mount along the Base until the Left Mount contacts the Electric Motor's shaft. Mark this point along the vertical face of the Left Mount's center line. Next remove the Left Mount from the Base and drill a small hole through the mount at the point you marked. Then, hammer the Large Nail through the hole so that the Nail's Point face toward the Right Mount when secured to the Base. Finally, re-install the Left Mount to the Base. At this point, assembly is complete. You are ready to start making Balsa Wood Popper Bodies! 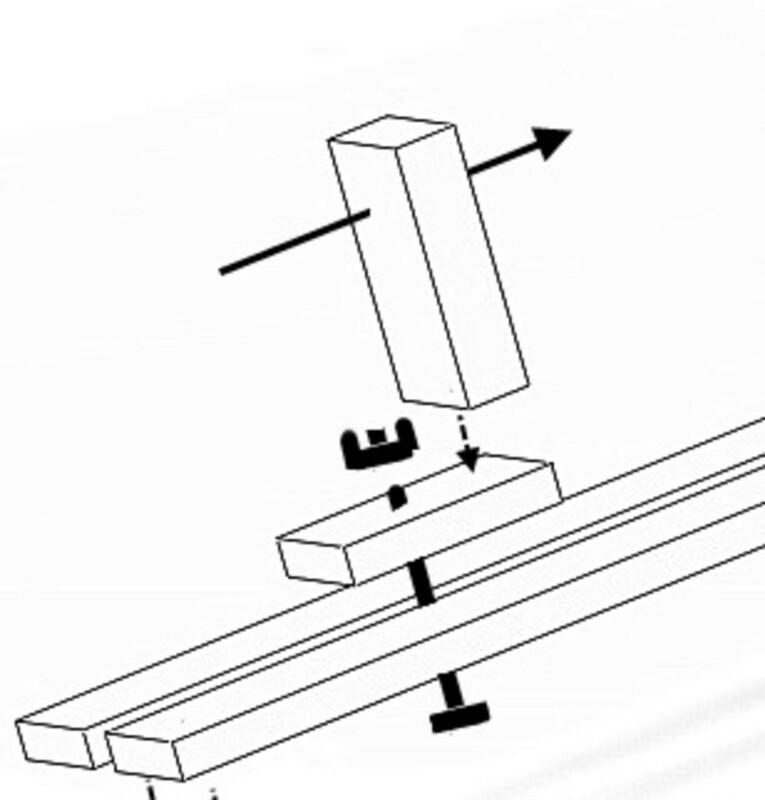 Do check out Step 5 - Operating section below for more details on using the Mini Balsa Wood Lathe. First, cut a 1" - 1-1/2" piece of Balsa Wood. 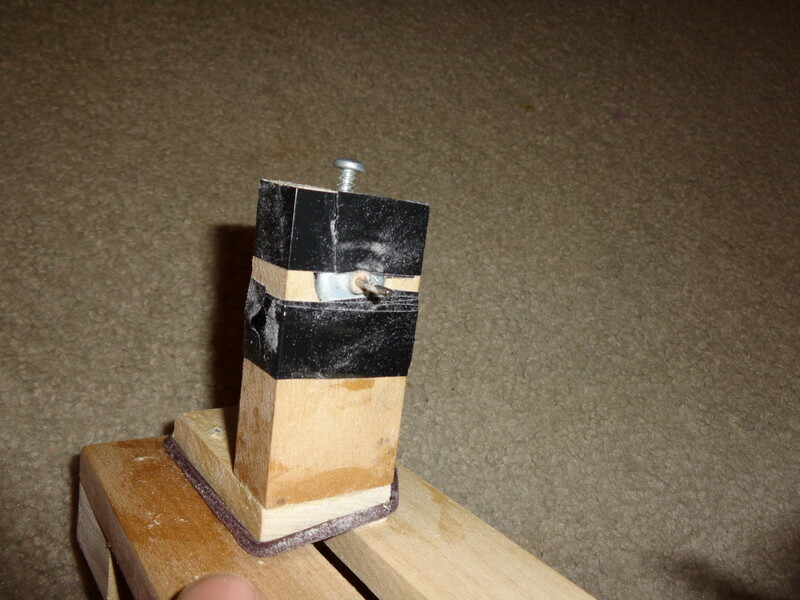 To make the Tube Popper Fly, 3/4" x 3/4" Balsa Wood was used. Next, mark the Balsa Wood centers on both ends. 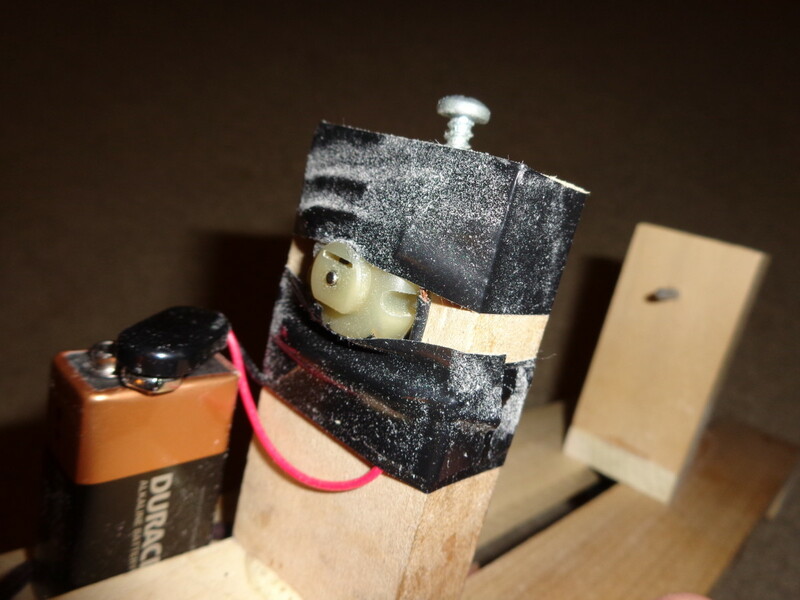 Then, apply a small amount of Super Glue to the motor's shaft and quickly push one end of the Balsa Wood on to the shaft where you marked the center. 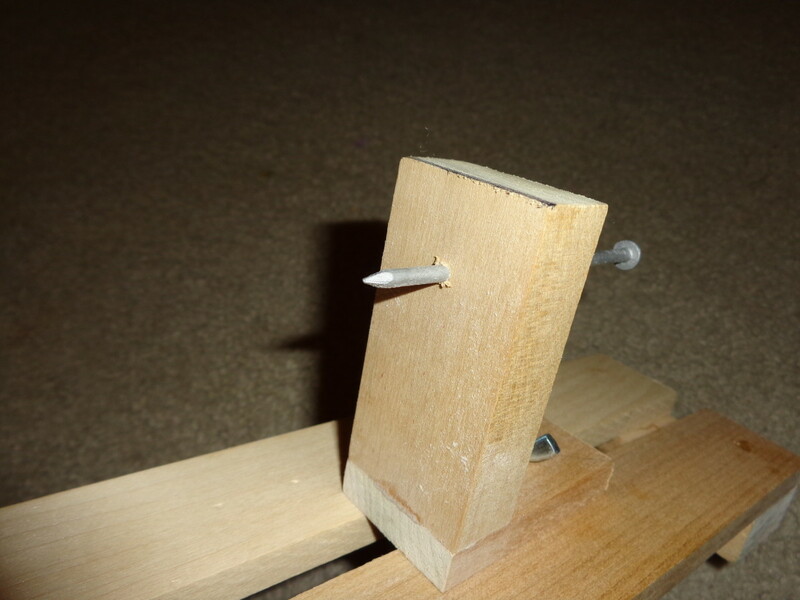 Next, slide the Left Mount along the Base and place the Large Nail against the the other end of the Balsa Wood where you marked its center. Finally, turn on the lathe and check that the Balsa Wood is balanced on the centers and spins without wobbling. If adjustments are needed, turn the lathe off and aldjust Left Mount as well as the Balsa Wood as appropriate. Note: For an idea how the Balsa Wood should spin when balanced, check out the video in the section below. The Tube Popper Fly is the fishing fly that uses popper bodies made with a Mini Balsa Wood Lathe! Do check out the article and try one the next chance you get! What do you prefer - Balsa Wood, Cork, Deer Hair, or Foam for Popper Bodies? What a cool idea! I'm not into making my own poppers, but this is just too cool! Well documented, too. Thanks for sharing! Hope this article helps other Fishermen who like to make Balsa Wood Poppers!